For dental care you can trust & rely on. Delivering quality care specific to each of our individual patient's needs. Our goal is to provide excellent care through education, prevention, and maintenance. With this balance, it is not only possible to treat dental needs, but the patient as a whole. Click below to schedule an appointment. If you need to cancel your appointment, please call us at 479-856-6610. We view ourselves as partners with our patients, staff, community, dental colleagues, and environment. At Beavers and Broomfield Family Dentistry, we view ourselves as partners with our patients, staff, community, dental colleagues, and environment. We take personal responsibilities in our actions toward each and value these relationships. Our goal is to provide excellent care through education, prevention, and maintenance. With this balance, it is not only possible to treat dental needs, but the patient as a whole. 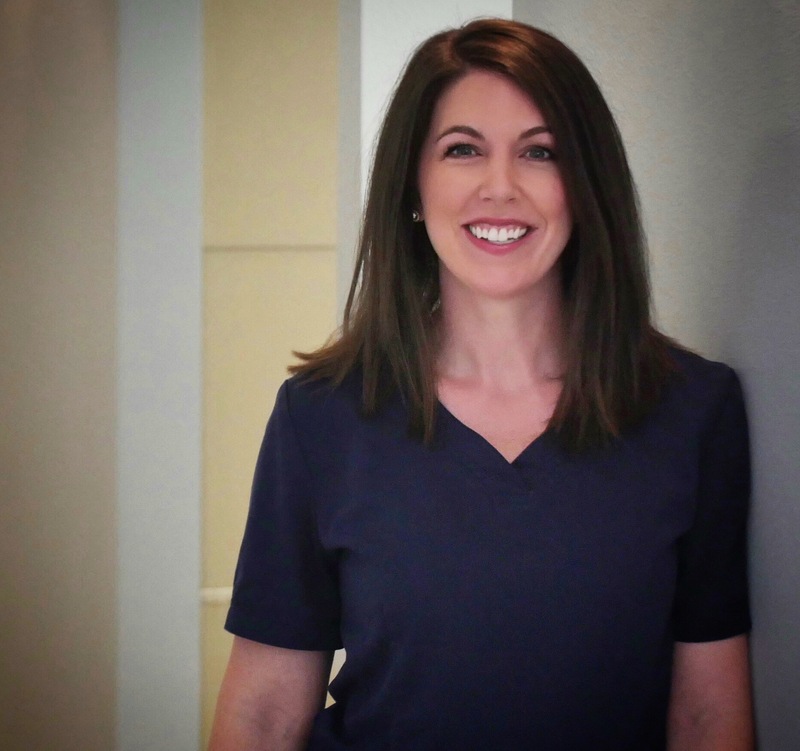 Kristen Beavers, DDS – Dr. Beavers majored in medical sciences at the University of Arkansas before she attended the University of Tennessee in Memphis where she earned her Doctor of Dental Surgery. Dr. Beavers loves being a general dentist in NW AR. 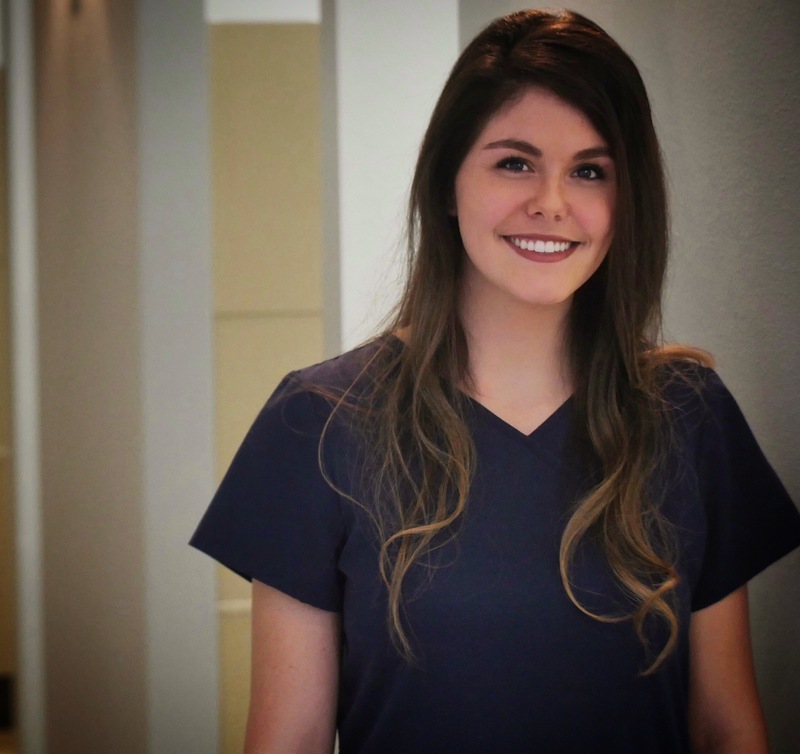 She enjoys forming meaningful, long-lasting relationships with her patients while improving their oral health. 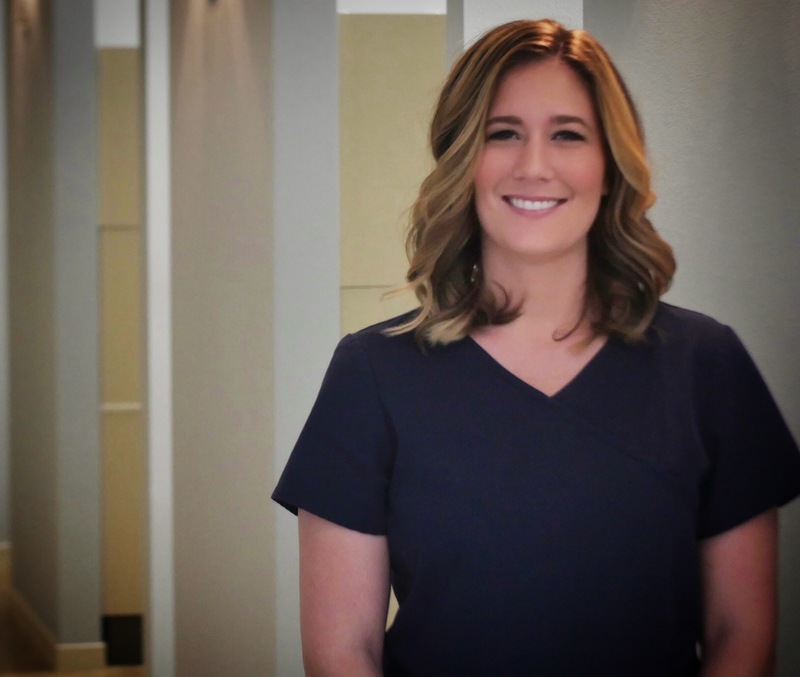 She is dedicated to providing premium dental care to patients and devotes her best efforts to remaining current in clinical dental techniques. Dr. Beavers is part of the Northwest Arkansas SPEAR Study Club. Dr. Beavers is originally from Blytheville, AR and we love her eastern Arkansas accent. She enjoys running, hiking, traveling and spending time with her family. She is married to Dr. Justin Beavers, who practices as an optometrist at Beavers Eye Care in Rogers, AR. They have two amazing kids; a daughter, Ryan Anna, and a son, Hendrix. Dr. Broomfield earned her B.S. in Microbiology at the University of Arkansas, and then went on to attend Louisiana School of Dentistry, where she received her Doctorate of Dental Surgery. Dr. Broomfield is passionate about her profession. She enjoys being able to spend time with her patients, talking with them and educating them about ways to improve their oral and overall health. 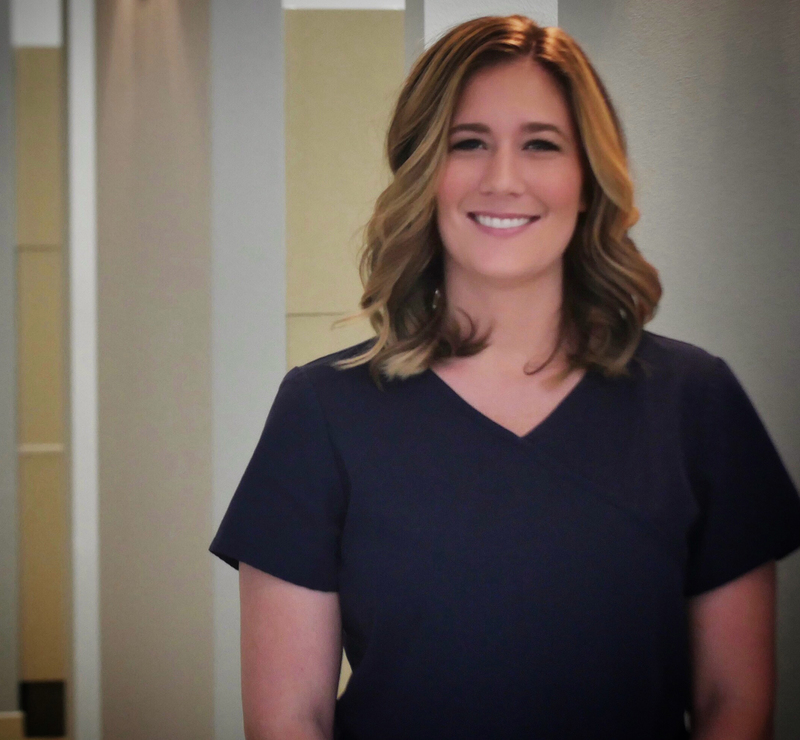 She is committed to offering the best possible dental care for her patients, and stays up to date with continuing professional education. She is a member of the International College of Dentists, as well as the Northwest Arkansas SPEAR Study Club. 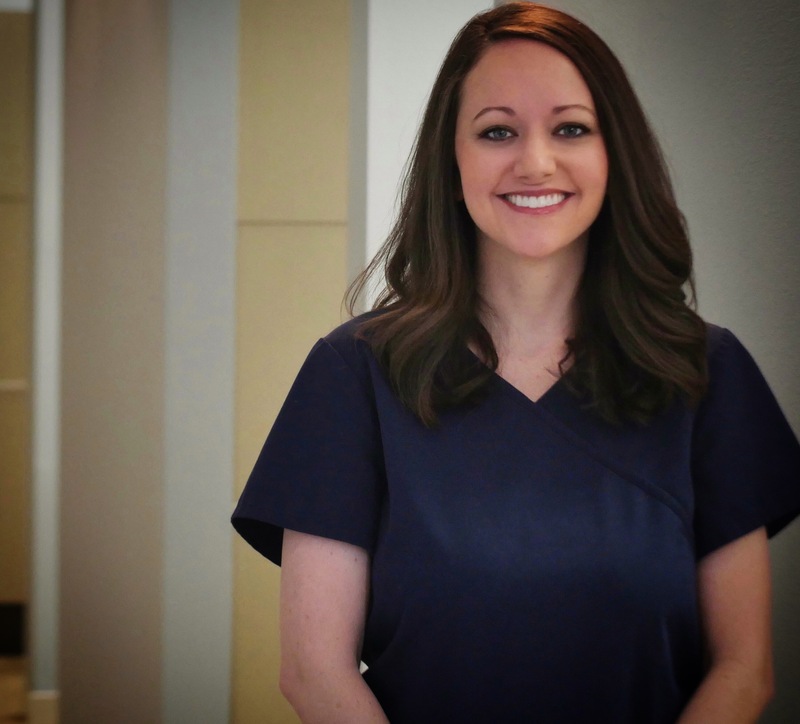 She served 5 years on the Executive Council to the Arkansas State Dental Association and was honored with the New Dentist Award for her commitment to her profession. She volunteers at the yearly AR Mission of Mercy, and at Welcome Health – a clinic that serves all NW AR residents, regardless of their ability to pay. Dr. Broomfield recently married local real estate developer Richie Lamb in a beachside ceremony in Costa Rica, where she got to enjoy all of her favorite things in life: spending time with friends and family, traveling, and exploring the great outdoors. They are expecting their first child in August 2018. Our doctors strive to exceed the continuing education requirements set as a guideline by our state dental board. Their most recent training includes a seven-part intensive course on occlusion at the Dawson Academy. They volunteer at community outreach activities, including Fayetteville Free Health Clinic, Mission of Mercy, and Give Kids a Smile. They feel it is important to be able to help those in need through these valuable programs. Whitney has been working here for 6 years. She is married to Danny and they have three children together Delaney, Keegan, and Eisley. Amanda graduated from the U of A in 2015 and enjoys cheering on the Hogs! Her favorite activities include floating the Buffalo River, going to concerts, and loving on her dog, Luna. She hopes to check off Rome, Ireland, and Bora Bora from her travel bucket list one day soon! Woo Pig Sooie!! Lauren loves the Hogs and all animals! She enjoys relaxing with her husband JT and her animals Bear, Smokey, & Felicity. One day she hopes to open an animal sanctuary for senior & disabled animals. Born and raised in Tulsa, Lauren moved to Fayetteville in 2007 to attend the University of Arkansas where she graduated with her Bachelor’s in 2011. Lindsay has been a dental hygienist here from the start. 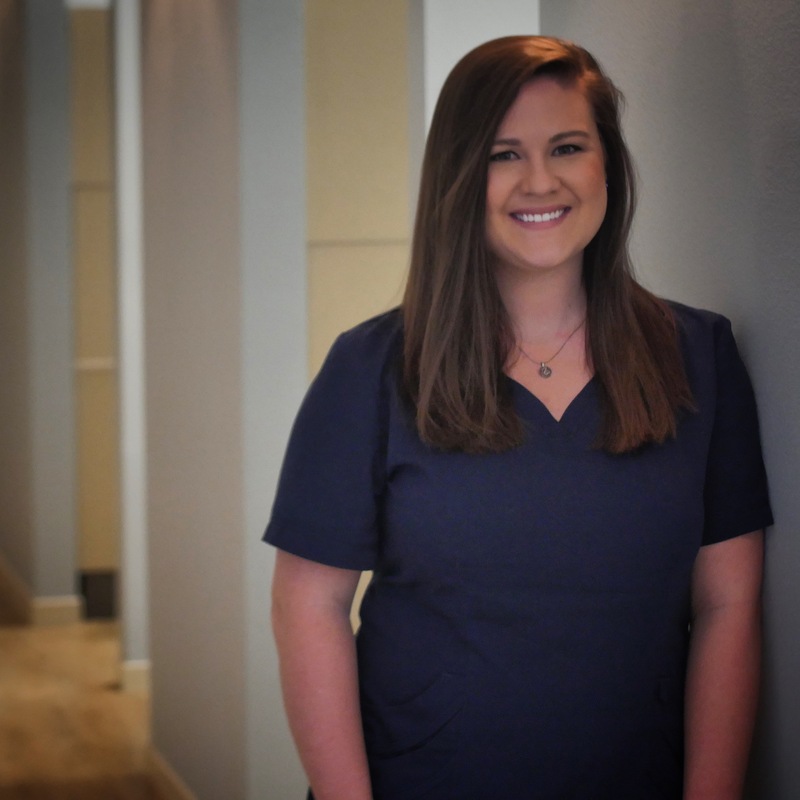 She graduated from the U of A, where she met her husband, Ryan, in 2005 with a Bachelor’s in Health Sciences and then from UAMS in 2008 with a Bachelor’s in Dental Hygiene. She and Ryan live here in Fayetteville with their daughter, Gwen, and their black lab, Cosby. Lindsay and her family love to try all the new restaurants and play outside. 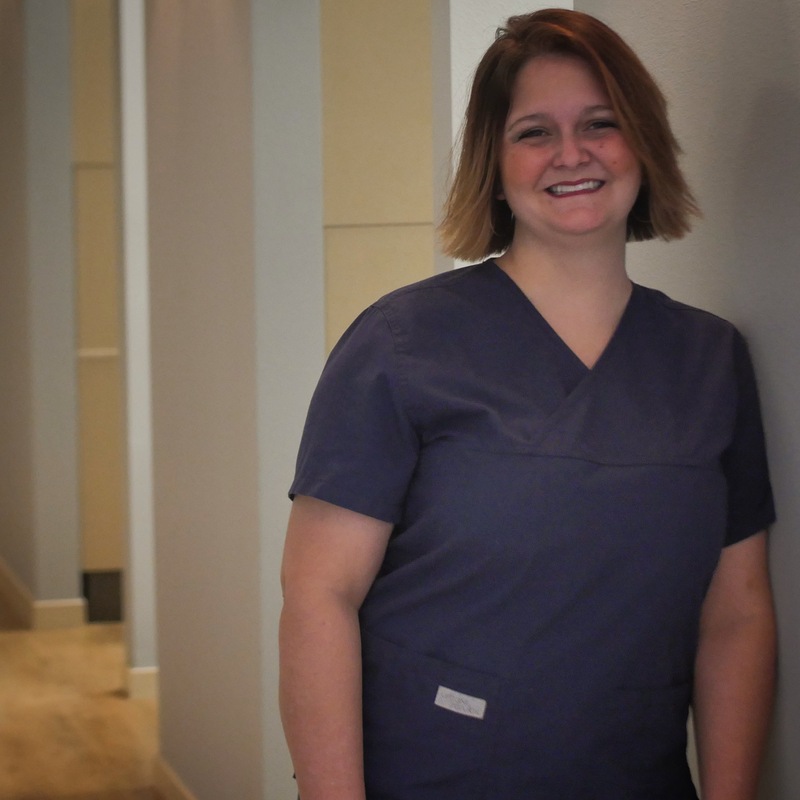 Megan has worked at B&B as a dental hygienist ever since the office opened in 2008. 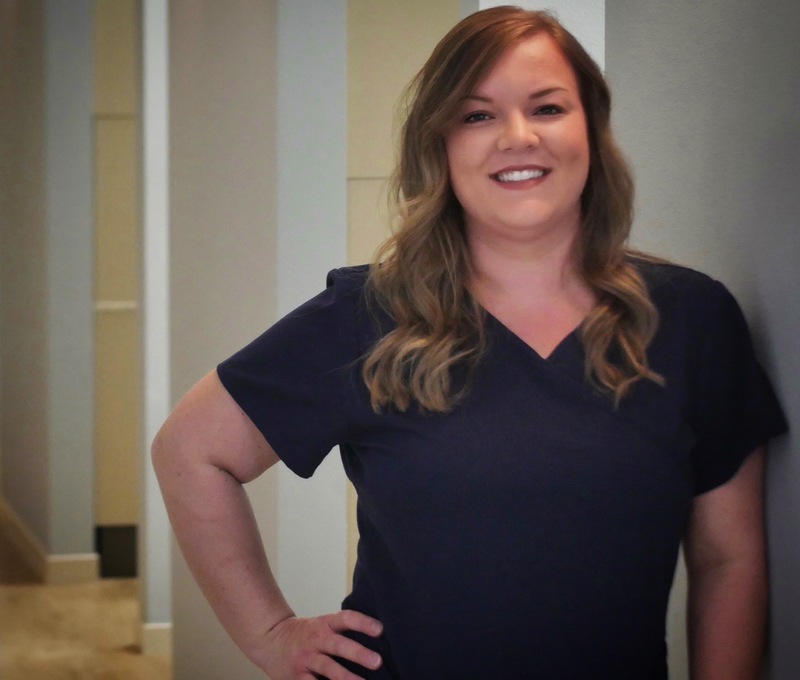 She has enjoyed getting to know all of her patients over the years as she helps them improve and maintain their oral health. She is married to her high school sweetheart, John. They have one daughter, Norah, and a dog, Max. They love to travel and be outdoors as much as possible. 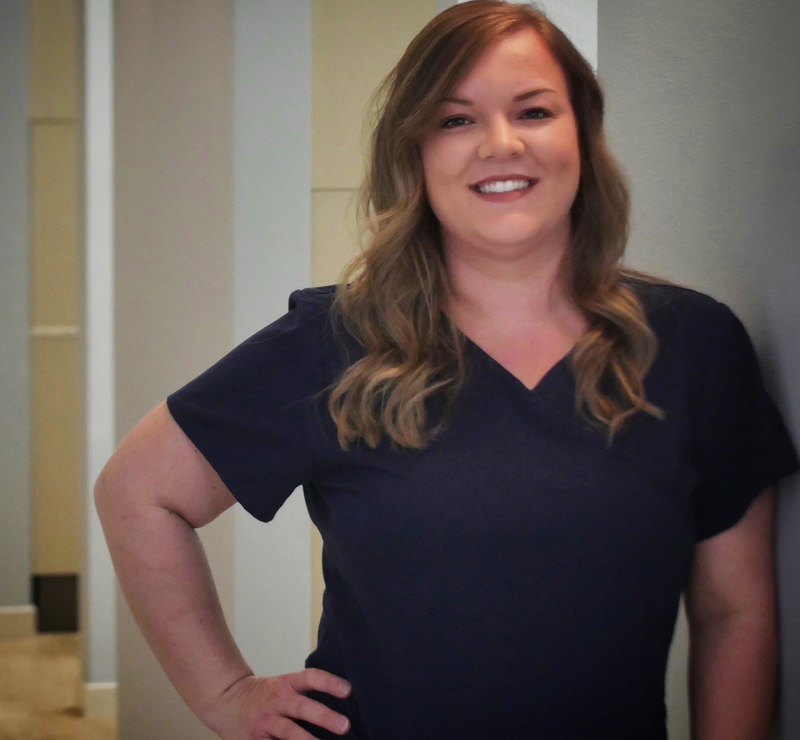 Kristina has been a dental hygienist here since 2015. 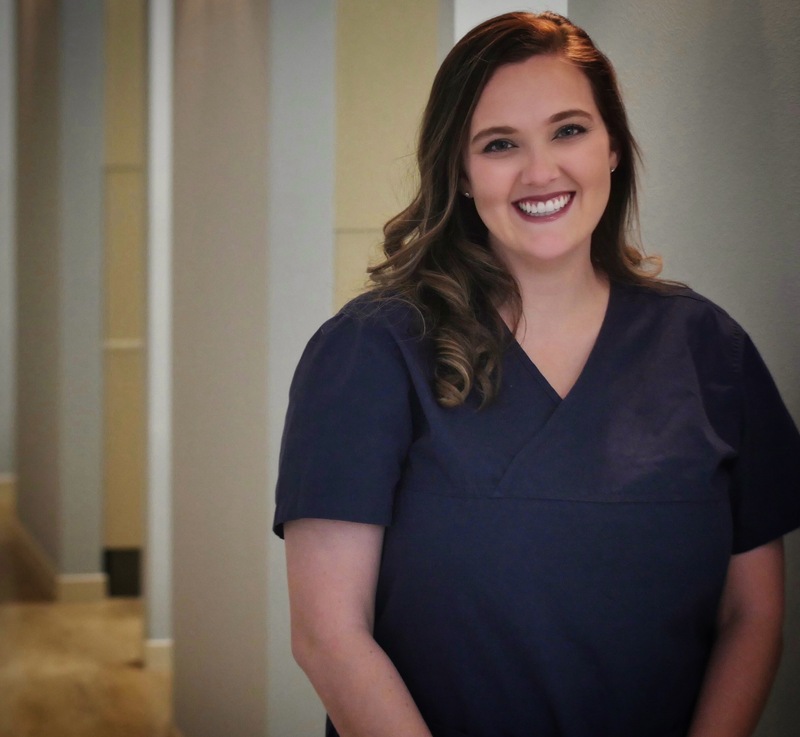 She first worked here as a part-time assistant while in college at the U of A and then returned after receiving her degree in Dental Hygiene from Missouri Southern State University. She is married and always on the go. She and her husband Jacob spend a lot of time outdoors and on the lake with their dogs Bear and Mr. Pickles. Maddie spends a lot of her time outside of work with her family! If she isn’t hunting or fishing with her husband Kendale, you can usually find her at a local craft show or the Fayetteville Farmer’s Market on the weekend. She has been an assistant in our office from the very beginning! She is also an instructor of the ADAA assisting school. Amber has been an assistant here since 2015. 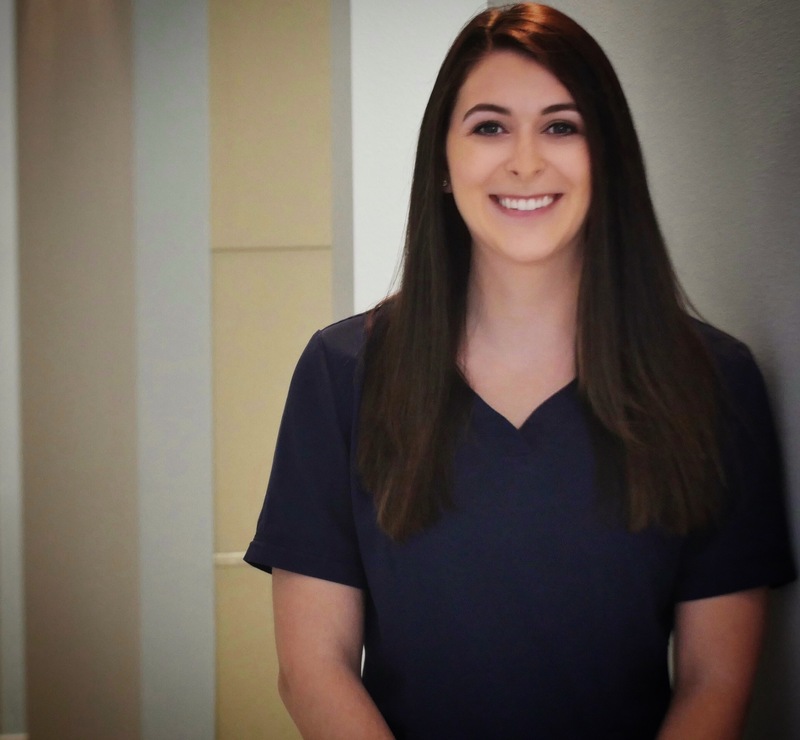 Her caring personality allows her to connect with patients and make them feel comfortable while they’re in the dental chair. She is married to Garrett, and they have 2 dogs, Hazel and Odie, and one 1 cat, Jenny. Amber likes to go hiking, camping, and shooting! Brandy is an assistant and the new patient coordinator at our office. She is married with a son and a daughter. They enjoy being outside. If they aren’t at a sporting event, they are spending time with family or at church gatherings. She is also an instructor of the ADAA assisting school. Bronwen loves to spend as much time with her family as she can. She is married and has 1 child. They have 1 dog and 1 cat. 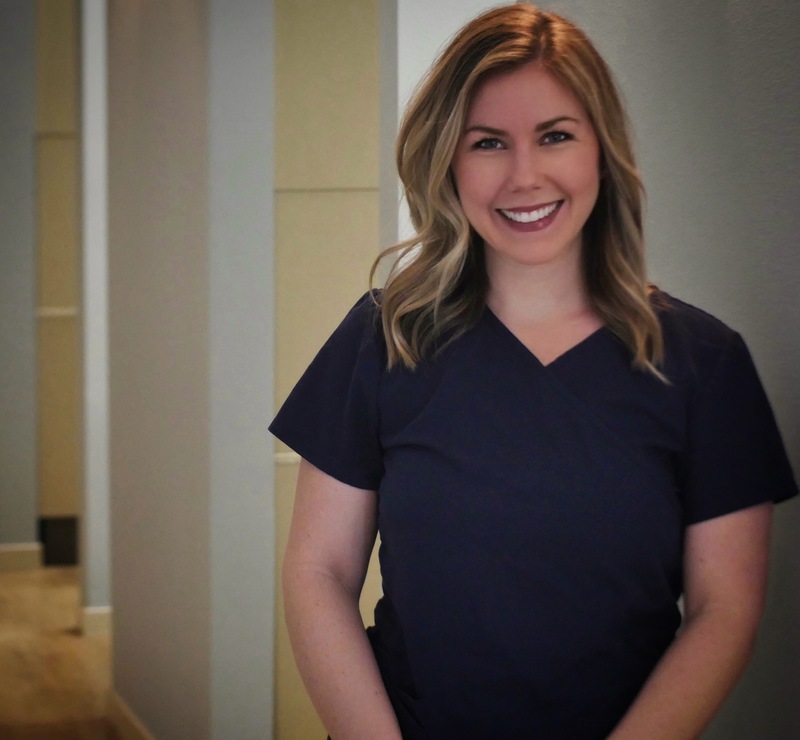 Outside of assisting in our office, Bronwen is either taking mixed martial arts classes, participating in any outdoor activity, or sharing her love for essential oils. Watch out for this pleasantly scented ninja!